Finfeed recently caught up with Tony Crimmins and Shanan Birkin to find out all the latest news on Abundant Produce Limited (ASX:ABT) — a small cap producer of organic skincare products, as well as Australia’s only ASX-listed hybrid plant breeding company. The views and opinions expressed in this article are those of ABT. You should not act on these views or opinions without undertaking your own due diligence as to the veracity and accuracy of these views and opinions. 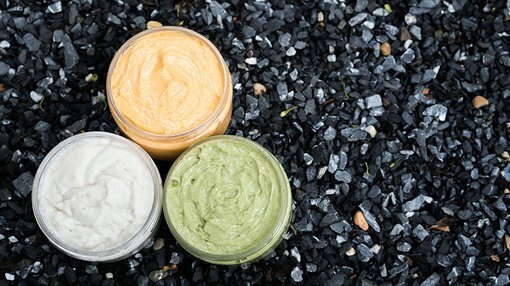 FF: Traditional skincare is being disrupted — people are no longer happy with the idea of putting synthetic chemicals on their skin. Are you responding directly to this trend? Shanan Birkin: We did a lot of market research on the shift in the market, moving away from all of those chemicals. People are looking for more natural or organic, or even 100% vegan. The main market is Mums around age 35, but even now the younger demographic is becoming quite savvy. They’re realising nature is best and it actually tends to get better results. That’s why we went down this avenue. If you put something on your face full of chemicals, it can have a reaction with something else. We found out that we bred this high-lycopene tomato and the lycopene could be extracted from the tomato skin — which we did in collaboration with the University of NSW. We ended up with several products that really work. People put ‘natural’ on their products, but ours actually is and, importantly, it’s developed and made here in Australia. A lot of these companies claim they do that. We did research on these companies — their websites and extraction methods, the combination of ingredients... and it’s just not possible that what they’re claiming is what they actually do. Our company can prove it. There is data that shows it works. FF: What’s the size of the market we are talking about here? SB: The global market is massive; half a billion dollar’s worth a year in natural skincare products and nutraceuticals. The market in Australia is a bit smaller. But if you add up everything, China, the US and Europe, they’re huge markets. We are trying to tap into the Australian market at the moment. We’re also working with e-commerce sites in China. Once people understand our company and brand, there is a lot of potential. At the moment, our products have been driven by what we’ve discovered and our extraction methods. We figure out the product we can create with what we’ve extracted. Those options keep growing and we will continue to come up with different vegetables, different extraction methods... and that will drive our product range. Once you’ve got some key hero brands that are successful, you know you’ve made it. Our magnesium products are amazing — I can imagine those being hero products for sure. Of course ABT is still a speculative stock and investors should seek professional financial advice if considering this stock for their portfolio. FF: Yes, magnesium seems to have become a very popular natural remedy lately, is that right? SB: Oh, it’s huge. And the fact that with our magnesium product, we’ve got it combined with something. The existing market for those types of products is so basic. There’s no dual action to help with absorption etc. We’ve hit some good science-based technology there, and our product is very quick acting. All our feedback from trials has been amazing. We’ve had 100% positive feedback that it’s an amazing product. Adding compounds to enhance the extract, these combinations are key and will make us stand out in the magnesium market. We’re coming out with this product at an ideal time. FF: Looking more at the big picture, what is the ultimate vision for ABT? Tony Crimmins: We are a plant breeding company, foremost. With cosmetics companies, most are chemical companies — or a celebrity has come in and said ‘Let’s make a perfume’. Nobody else gets into this industry starting off by making new plant strains. We are unique. We go to the profitable side of the fact that everything we do is plant-based. We try to make the best cucumbers in the world, the best tomatoes in the world. We have an agreement with one of the largest seed company in the world, and we make the sweetest tomatoes. We design, without genetic modification, through nature’s normal selections. We go to universities for breeders and professors to do the work. And we chase after the maximum value of what we make, hence going into the cosmetic range. To make a plant is a very highly profitable business. It took us seven years to make these tomatoes that can be used for the lycopene-infused face cream. Next, we revisit the plant science and look at extractions from normal food products that help migraines, depression and so on. We chase the highest value of where we’re going to go at the end of the day. We do cucumbers, tomatoes, zucchinis, eggplants and capsicums... and we use what we make. Right now, we have extracted a compound from eggplant and made a product that is high in antioxidants, which we are planning to make into a great face wash. It’s also great produce for eating, as well. We are a purely organic company as well. We are the local store where the one chef does everything. Everything in our product, we make it from the start. FF: You’re saying the ingredients are not only organic and locally sourced, they are all your own products? TC: That’s right, all sourced in Australia and all made by us. We also look at the sourcing, and the environmental impact; the life cycle of the actual cosmetic. People now want a product that works, but it also has to carry other things that reflect their values. We use Australian people and ingredients, we aren’t buying stuff from offshore and mixing it here and giving it to a production company that puts it into a tube. We are using, employing, generating and making it ourselves. FF: There’s also the research side of the company, what’s in store there? TC: The reason we were just in Seoul was to deal with intellectual property. We search out new ideas, new science into what we are trying to do. It’s all about getting the best science possible. We also borrow from universities in places like Korea where they have different base mediums. There are a few things to be released in products and more collaborations with universities on a global scale. We’ll start to announce in the near-term. What we’re tapping into is intelligentsia that’s trapped in universities, that nobody exploits, but we know how to do that. Most of the stuff I do, I give away to poor countries. If I make a good cucumber or tomato, I will give that to Pakistan, for example, to help with food security challenges. We are all in a family; it’s not just about shareholder profit but also playing a role in the world we all live in. FF: So, you have a focus on sustainability as well? TC: Yes, sustainability is important. You can’t do it all, but you can limit the amount of negative impact. We are a premium company, we’re not bulk providers. So we produce minimal product of high value. We can control what we’re doing. We can add more sustainability and we charge for it. FF: Can we expect any exciting announcements in the coming weeks or months? SB: Yes, we are increasing our distribution into Australia in terms of bricks-and-mortar. And also into China, as well as e-commerce possibilities of Korea. It’s very exciting for us. Our social media is becoming very popular. We’ve been looking at sports ambassadors as well, and chatting to a lot of people who believe in our products. We’ll be announcing ambassadors in the next 1-2 months we are looking to announce at least three or four key players in women’s sport in Australia.